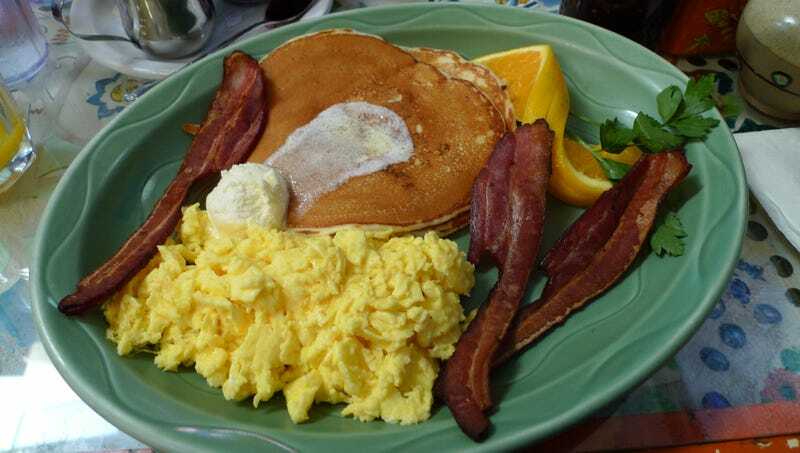 WASHINGTON—A new report from the Food and Drug Administration has found that breakfast, once considered the most important meal of the day, has now slipped to sixth place, below brunch and just above midnight snack. “Significant gains by lunch and dessert badly damaged breakfast’s standing in the late 1990s,” culinary analyst Myron Jeffries said. “Add to that the blockbuster debut of second-breakfast in 2007 and a renewed interest in leftover-pizza pre-lunch, and breakfast is in a downward spiral it may never recover from. Especially considering the popularity of super-brunch.” The makers of Eggo frozen waffles reportedly expressed no concern at the news, as waffle-dinner is still holding strong at No. 3.